In our previous post, we talked about what the Kanban tool is and how kanban boards could be used for tracking of activities and projects. We also talked about how we could establish a couple of very simple indicators that would allow us evaluating the amount of work we do (Achievement) and how much of what we do were part of the initial schedule of activities (Adherence). This time, we will discuss in a more detailed way the Kanban tool, and it is about the core of it, I mean, the cards. Let’s remember that Kanban is a Japanese word that means, literally, signboard or billboard, (看板). Speaking about Lean Manufacturing methodology, Kanban is part of the second S, Seiton, or Sort: a place for everything and everything in its place. Seiton means something more than appearance. Kanban helps us for such basic issues in a firm to organize the required elements, so that they be easy to use, access, visibility and communication. To do this, each element needs to be individually labeled to be found, removed for be used and later placed again at the same position. In the case of the informative cards (informative kanban), they must have all the minimum required information, for easy access and comprehension for all those who are involved in the process, as well as for the high management, since it allows them, from a simple glance, during their walking through the corridors, to be aware about the state of the processes and even knowing if they are required for immediate intervention. We discussed in our previous delivery that Kanban system is based on cards that send signals at every stage of the process. In the manufacturing industry, Kanban is typically used to control the stock of raw materials, intermediate products or finished goods, and they are more effective when the statistical behavior is so regular, i.e., that the standard deviation is too small. It is used also in pending control when it begins from a stock buffer and its behavior over time is determined. 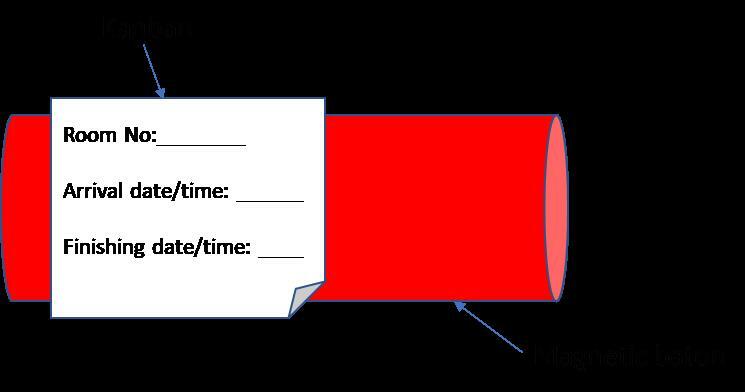 Kanban in manufacturing plants contains information that identifies an item, controls its flow through each stage of the process and allows recording results throughout the process, which allows us keeping Takt Time to minimize waste. Kanban is so flexible that allows us to use according to your needs: only as a purely informative system, like a board where all the stages of a process are shown, and the cards are being placed as they progress in the process or even to control inventories and complexes projects. For example: let’s assume we are in a hospital´s pharmacy, which requires your team dispensing drug products to the patients on each floor. At first, a deck of prescriptions reaches your front desk. 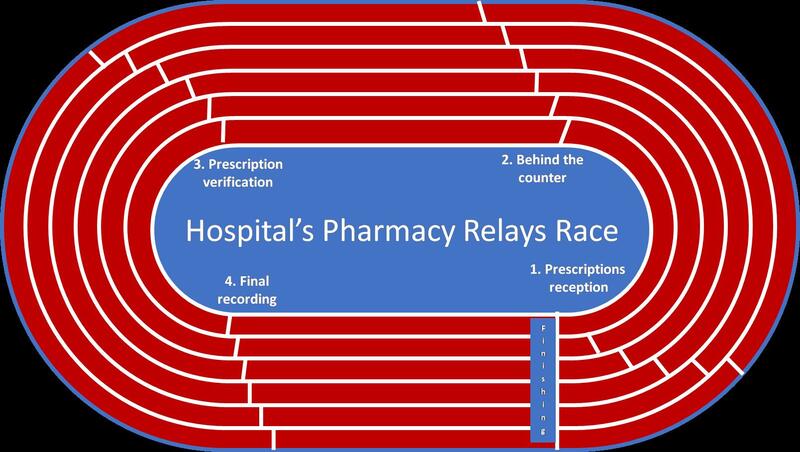 Person in charge introduces prescriptions individually into magnetic batons and places them in a board in the form of an athletics track, where the first relay is reception. Also, time of reception is so visibly written on the baton. Then, prescriptions are taken behind the counter to be dispensed. Second relay starts here. When activity is concluded, the baton with the end time of the second team member moves to the third relay: verification that the right drug products were dispensed according the prescription. Finally, prescription and drug products are placed in the front desk and conclusion time is also recorded. Our relay race through the pharmacy is over and the prescription is ready to be taken to the patient’s room. All the batons, with the information of finish hours, are written down in a database by the front desk, which generates daily reports of productivity and timing of a prescription (KPIs). In the case of emergency prescriptions come to the pharmacy, they are placed in red batons (visual Kanban) and, to reinforce the need of delivering them as soon as possible, an audible signal is detonated from the front desk, which alerts the pharmacy team that a request has arrived which, we could even imagine, is truly of life or death, so speed is very Important. This database allows us to calculate our indicators of Adherence and Attainment So, continuous monitoring allows pharmacy team members to generate their service-level improvement plans. From this relay race through the pharmacy, another Kanban would be detonated, that would allow us controlling drug products’ inventory and security stock. But, that, dear reader, we would discuss in another time.